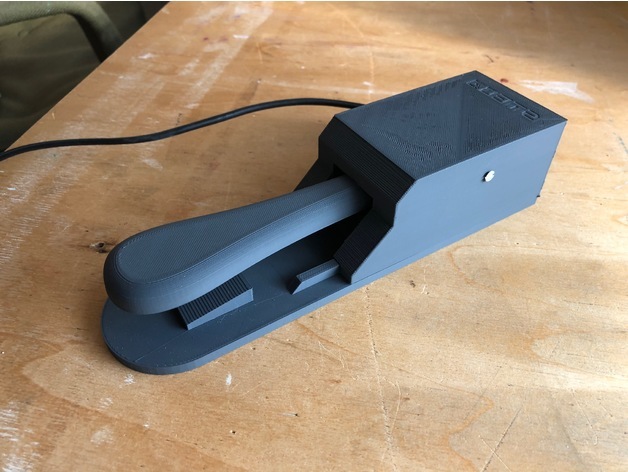 An easy to print and make sustain pedal for your piano and keyboard. All you need to do is add a simple jack cable the makes contact when pressed (or keeps contact and looses it on press). Enough holes in there to make some different configurations. I just used a simple ballpoint spring and a little screw to make this work flawlessly.